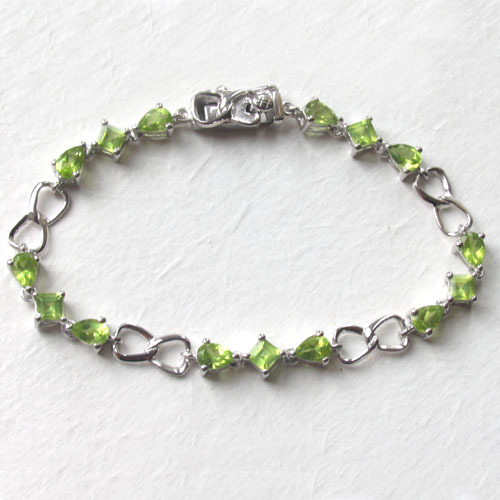 This fabulous sterling silver peridot bracelet combines square and pear shaped peridots set into a silver link chain. 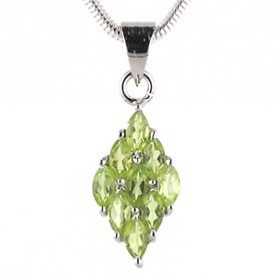 The peridots are faceted and shine with the characteristic lime green colour of this semi-precious gemstone. 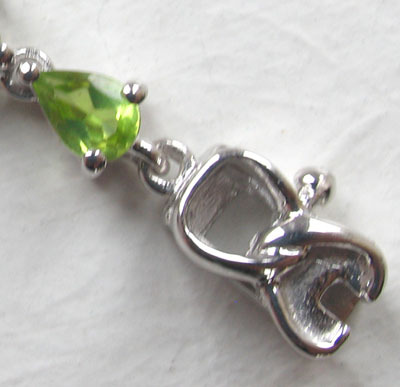 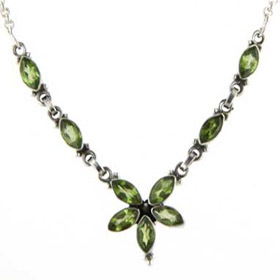 Peridot looks perfect set in sterling silver. 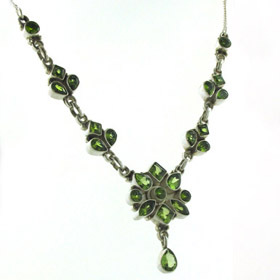 It suits the cool lime green colour. 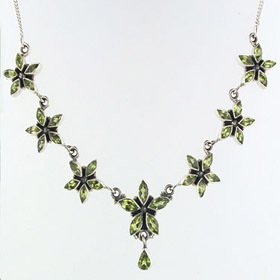 The peridot triplets are joined together by links which allows them to move freely and independently. 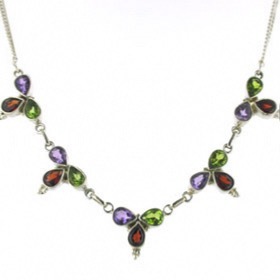 This gives the bracelet a loose and free movement around your wrist. 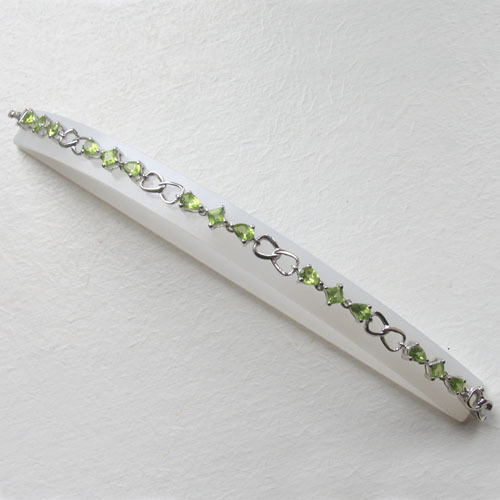 It's a comfortable bracelet to wear. 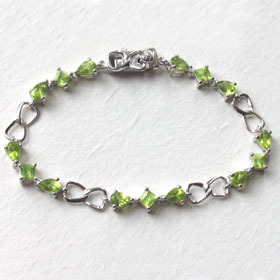 This peridot bracelet fastens with a safety catch designed in the same style as the silver links. 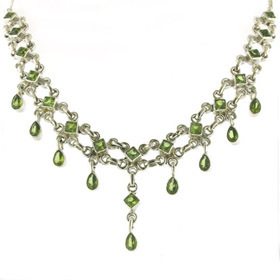 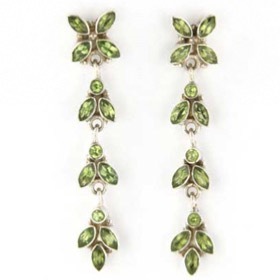 Team up with peridot earrings and a peridot necklace.